When I think of beaches in Southeast Asia, I usually think of Bali or the idyllic islands located in southern Thailand. 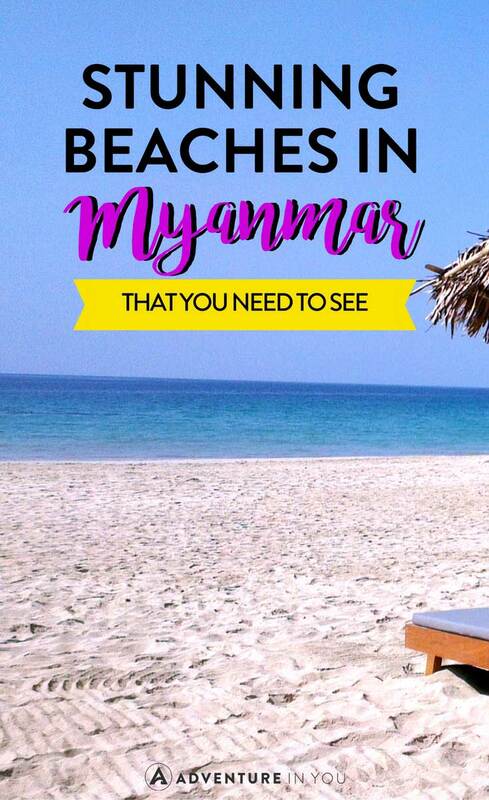 But did you know that Myanmar is actually full of some of the most renowned beaches in the area? 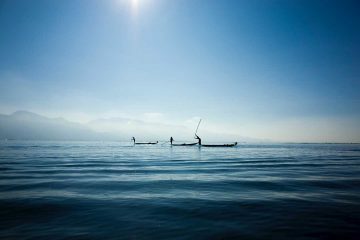 Although the country has been welcoming tourists consistently over the years, many of the beaches still remain hidden gems, largely unknown to foreigners. But with beautiful white sand, crystal clear water, and affordable hotels and resorts, it’s easy to see why the country’s tourism industry is booming. We’ve compiled a list of the best beaches in Myanmar so you can experience the best of this amazing country. Supposedly named for Naples by a homesick Italian, Ngapali beach is one of the most well-known in Myanmar. With pristine white sand, a scattering of palm trees, and incredible turquoise waters, it’s easy to see why so many tourists come here. But because getting to the area requires a flight from Yangon, it tends to be a bit pricier than other beaches in Myanmar. If you’re looking for a luxury stay and breathtaking views, this is the spot to go. Not everyone wants the preened and perfect vibe of popular tourist beaches. Five-star resorts and white sand beaches are great, don’t get me wrong, but sometimes you need a break from the crowds and tourists. If you’re looking for a remote and unspoiled beach away from the hubbub of cities and holiday-goers, Kanthaya is the place for you. An 8-hour drive from Yangon will land you in this incredible area for the ultimate private beach experience. Close to Ngwe Saung, a few hours drive from Yangon, Chuang Tha is hugely popular with locals and tourists alike. This beachfront goes more for convenience than tranquility, laden with shops and stalls, rows of hotels, and plenty of options for entertainment and excitement. This is a great spot to meet people and get a feel for modern Myanmar. 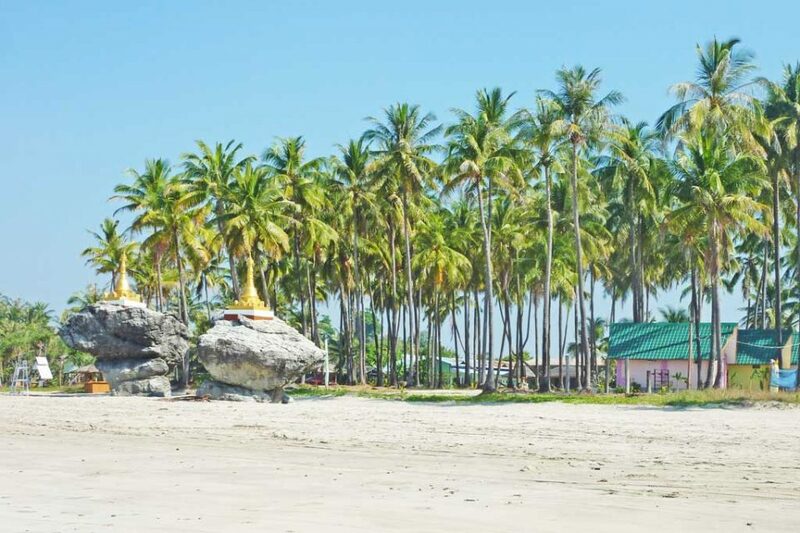 Ngwe Saung is located just 5 hours from Yangon by road and is easily accessible by private car or public bus. The trip is easy enough, and it’s perfect for those looking to avoid flying or wanting a quick weekend getaway. The small fishing village of Ngwe Saung is interesting to explore, but beyond the beach, there really isn’t much there. Perfect for those wanting to experience rural Myanmar in a relaxing and secluded setting. 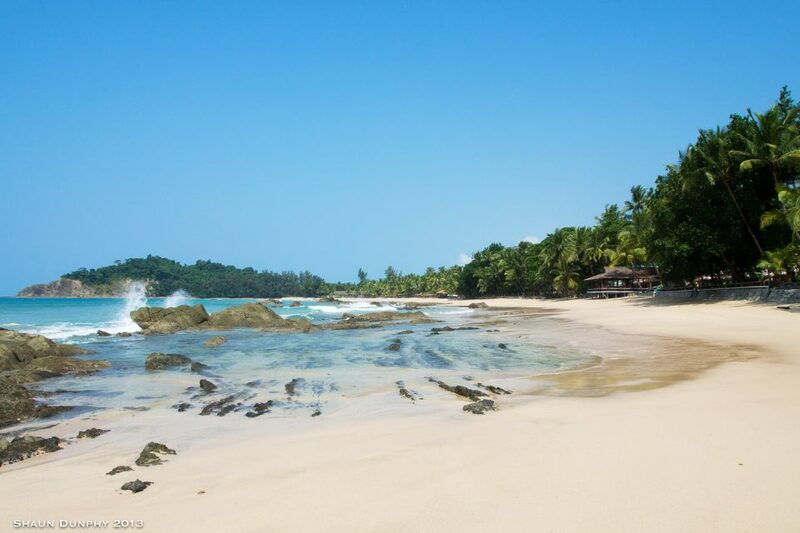 Due to its close proximity to Yangon, Ngwe Saung is one of the most popular beaches in Myanmar. The Myeik, or Mergui Archipelago is a group of over 800 islands off the southern coast of Myanmar. Some of the country’s most remote and stunning beaches lie in this area. But it’s less the beaches and more the water surrounding them that attracts the most visitors each year. Myeik is home to some of the most incredible diving in the region. Your best bet is to opt for a guided tour company and keep in mind, the conditions here, while gorgeous, are not for the faint of heart. You’ll want to get your diver’s certification first before checking out all the magic these islands have to offer. Another off-the-beaten-track beach, Nabule is definitely secluded. If you’re looking for convenience, this won’t be your first choice. But if you want to spend the day soaking up the sun on a private expanse of golden sand, put this beach on your must-see list. 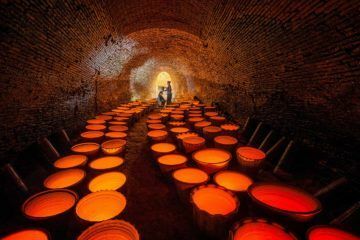 It’s located 12-miles from Maungmagan Beach in southeastern Myanmar and makes for a perfect day trip. Ideal for relaxing without crowds, and picturesque enough to make for some amazing photos. 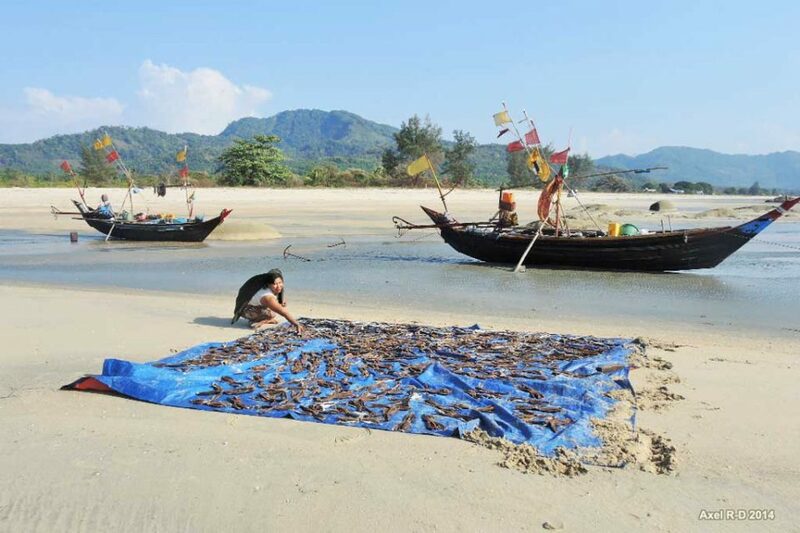 Located just outside of Dawei in southeast Myanmar, Maungmagan is the country’s second-most historic beach (after Ngapali). In Colonial times it was a popular spot with English visitors, and now it remains popular with locals in the area. During the week, the beach is often quiet, though it gets very busy on the weekends. This is a great spot to base yourself while exploring other beaches and towns in the area. If there’s one piece of advice that you get from this, if you’re traveling over the weekend or during peak seasons, it’s best to book your hotels before you go. 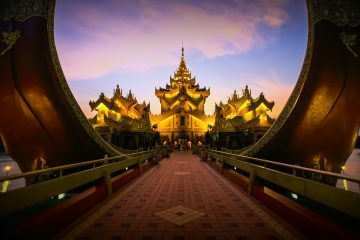 Flymya is one site that offers great deals on hotels and resorts throughout Myanmar. Otherwise, you can also check any of our where to stay in Myanmar guides. Another thing to consider is that the monsoon season in Myanmar runs roughly from May until October. During this time, some resorts will shut down and beach towns won’t be accessible to tourists so do keep this in mind when planning your trip. 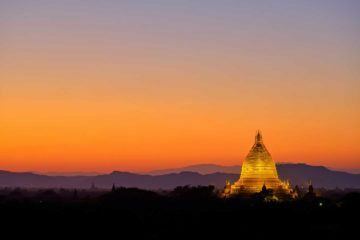 The best time to go to Myanmar would be winter and early spring. Last but not the least, remember, that the Burmese people are still very conservative and primarily swim in full clothing. While foreigners are often given exception, it’s best to be culturally sensitive and dress modestly when visiting the areas around local beaches.